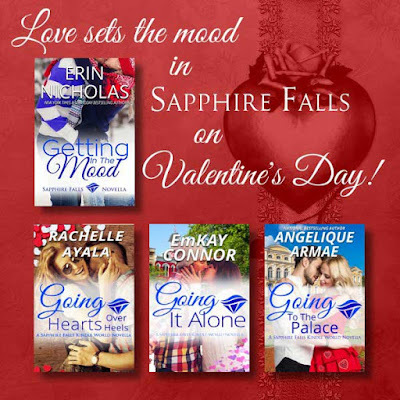 We have three all new Sapphire Falls Kindle World Valentine romances to continue from Erin's Getting in the Mood: full of hearts, fun, and snow-melting kisses and passion. 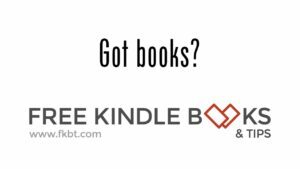 From Rachelle Ayala, Going Hearts Over Heels: Ginger is a fast talking New Yorker who wants to try life in the country--along with hot country boys. Marsh yearns for the excitement of the big city and a certain redhead who has his imagination sparked. Ginger and Marsh decide to trade places over Valentine's Day, except neither one expected their hearts to get in the way of their heels. From Angelique Armae, Going To the Palace: Farm girl Millicent can't forget Prince Leopold and the heartbreak he left her with. When she mistakenly bids for him at the Sapphire Falls Bachelor's Auction, she is forced to trade her jeans for a ballgown and see what Leopold's real agenda is. If you haven't read Erin's story, Getting into the Mood, now is a good time to pick it up. 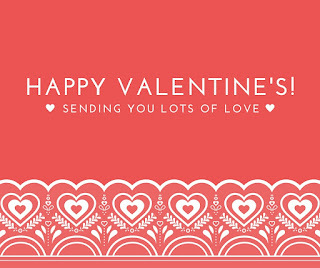 Wishing all of you plenty of roses, sweets, and kisses on Valentine's Day!